Back in November, our Student Council president introduced Healing Waters International and “The Her Initiative” to the student council members. This organization has established water treatment processors in numerous developing countries to bring safe drinking water to the children and their families who live there. Our students take safe drinking water for granted and it was hard to hear that there are children who do not have safe water to drink. The committee decided to contribute the profits from the candy cane sale and out-of-uniform day in December to Healing Waters International. Our Fundraising committee announced the results of these two fundraising events after Mass today. We are proud to announce that a check for $775 was mailed today to Healing Waters International. Our fundraising committee is to be commended for their work on the candy cane sale. 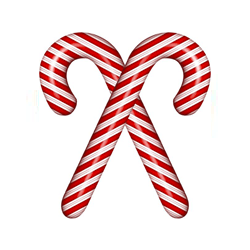 Thank you to all those who purchased candy canes during the fundraiser. Our November out-of-uniform donations, $163 was sent to Make a Wish Illinois. Our 4th grade classroom representatives did a wonderful job telling the student body about the Make a Wish organization after Mass.